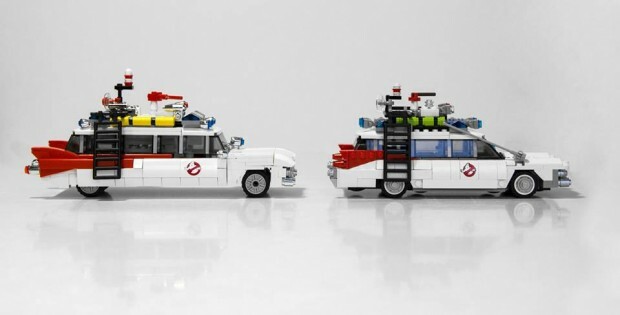 Brent Waller created a 30th Anniversary Ghostbusters Ecto-1 LEGO set which LEGO selected for production as part of its LEGO Ideas system (formerly known as LEGO CUUSOO). 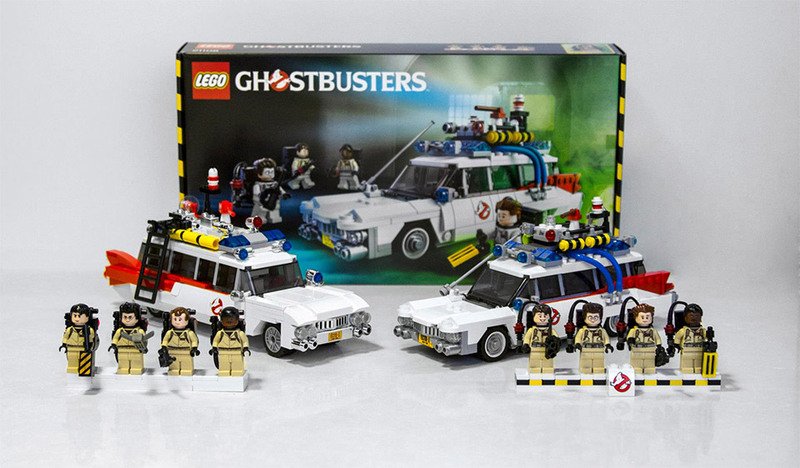 We were waiting for the final designs to be released and now LEGO has made them available. The set includes the terrific Ecto-1 Ghostbusters vehicle, four LEGO minifigures of Peter Venkman (Bill Murray), Ray Stantz (Dan Aykroyd), Egon Spengler (Harold Ramis) and Winston Zeddemore (Ernie Hudson), plus one green slime ghost minifigure. Check out the side-by-side comparison shots below showing Waller’s design on the left and the official LEGO set on the right. 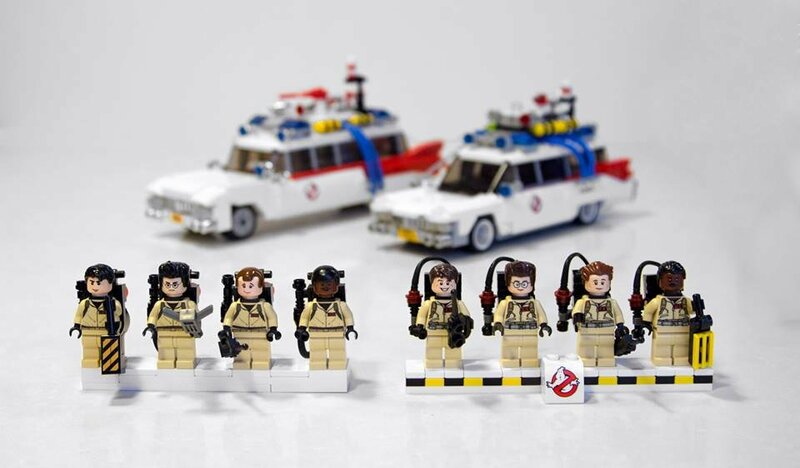 Now, be sure to check out Waller’s LEGO Stay Puft Marshmallow Man and go vote for that set on LEGO Ideas, too.